1. Two bottom teeth. The poor thing has been teething for a couple of months and now he's got two teeth to show for it. I'm sure more will follow shortly. 2. Rolling over. He's finally figured out rolling back to front and front to back. He can no longer be left alone on the floor for too long now. 3. Eating solids. We started him on some rice cereal this week. He seems to like it and grabs for the spoon as it reaches his mouth. 1. Reading some new words. He is doing better at actually reading rather than just memorizing words. When we were skiing, he pointed out the trail "Happy Valley" and could read "Happy". 2. Growing imagination. All day long E is fighting bad guys, being a spy, and pretending to be a superhero (some made up). We are constantly amazed at what he comes up with. 3. 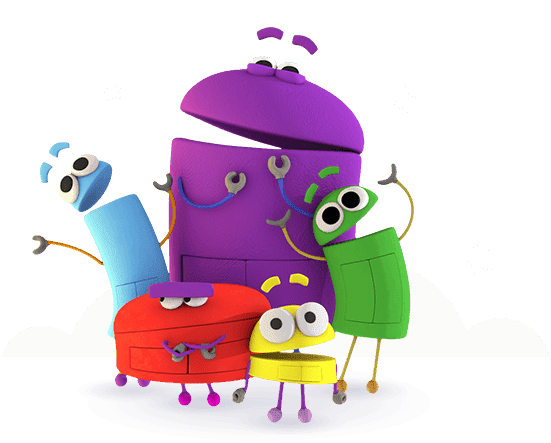 Watching Storybots on Netflix. Although he has watched the episodes multiple times, he still enjoys them. They include catchy tunes and jokes the parents can appreciate. 1. He's signed up for the Ottawa Race Weekend again this year so the running will continue with a race to train for. 2. Another year older. Dave's birthday was on Monday, and we kept the celebration going with the Raptors game on Tuesday night (big overtime win!). 3. Working on deals. Anyone in sales knows "ABC" - Always Be Closing. That's Dave! 1. Rewatching Downton Abbey on Netflix. It's just as good the second time, if not better since I know more about the characters now. 2. Filing our taxes. We finished our tax returns this week and sent them off. I'm no accountant but we don't have anything too complicated to deal with. 3. Thinking about Easter and what to serve and what the Easter Bunny may be bringing with him for our baskets. Rewatching downton abbey! That's genius 😁. And five and a half months already? What a cutie!